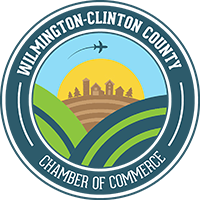 The Clinton County History Center, 149 E. Locust Street, Wilmington, is a multi-function facility owned and operated by the Clinton County Historical Society, serving all those interested in our rich heritage. 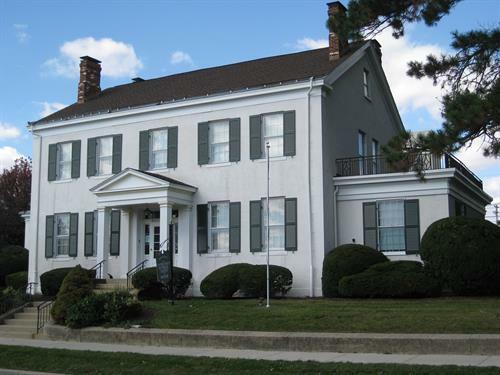 An 1835 Greek Revival residence, once the home of General James W. Denver (for whom Denver, Colorado was named), the Rombach Place Museum houses a changing array of exhibits that illustrate the history, diverse interests and talents of the people of Clinton County. 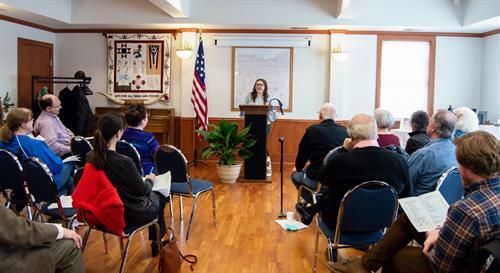 Included are the General Denver military and political collection, the photographic work of Carl Moon (1879-1948), and the largest collection of paintings, drawing and sculptures by internationally known Quaker artist and sculptor Eli Harvey (1860-1957). 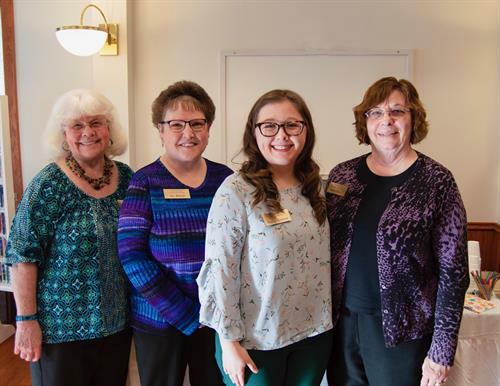 The History Center has an extensive collection of resources pertaining to genealogy, the history of Clinton County, and the Society of Friends. 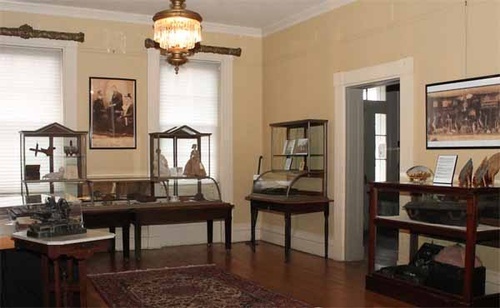 The History Center maintains an archive of original manuscript and photographic material. Included are early writings, documents, photographs, and ephemera. Access to the archive is by appointment. The Davids Conference Center is a moderate sized space within the History Center and used for public programs and events. The Conference Center is also available for a $15 per hour rental. The space can hold around 90 people, includes white board, projector, and podium. Tables, chairs, and a small kitchen area included.